Comments: Used book in acceptable condition. Has some wear to binding, spine, cover, and/or pages. Some markings/writing may be present. May have some stickers and/or sticker residue present. dust jacket is present. May have some wear and small tears. This is an ex library/school book, stickers and markings accordingly. If applicable, book's access code, disc, and/or accessories are not included unless otherwise specified. All items shipped Monday - Friday. Fast shipping - Books ship in envelope. 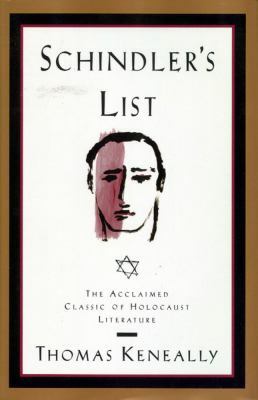 The basis for the Oscar-winning Spielberg movie, this novel recreates the story of Oskar Schindler, an Aryan who risked his life to protect Jews in Nazi-occupied Poland.Keneally, Thomas is the author of 'Schindler's List' with ISBN 9780671516888 and ISBN 0671516884.